Today I am leaving on a jet plane (once again) to the far reaches of the globe. At least on the other side of it again. 38 hours of travel from the north of New South Wales to the South East of Scotland. I am looking forward to more time to explore Europe and to make the most of the wonderful blessings of post-graduate study on yet another continent. Like always, I’m playing for keeps. At least this time round I am more likely to have friends and family come and visit. They were never really keen on Central Texas, no matter what I said! When people ask me where I’ll end up, I usually say I don’t know, wherever God has a place for me. The longer i spend away from my family the more I am tested to step up to whether I truly mean that I will go wherever he has for me to go. Deep down I love to travel but I miss my family and my country. I miss the slopes and plains of the peel valley. For me wherever has meant a place I never in a million years though I would live (Texas) but which grew on me (especially the people). And now it means fulfilling a dream to study in the UK at one of the oldest universities in the world – St Andrews. I am quietly excited and expectant. Now I can throw myself into my research again, managing my time and schedule to hopefully be productive, and balanced, and joyful. I’ll let you know how I get on with that. 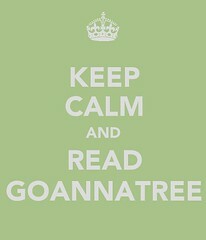 What this means for Goannatree? Hopefully, more good quality posts. I have been very content with the steadily increasing numbers of readers, but more happy with the kind of community Goannatree has found a place among. That promised redesign should come by the end of the year (and they say things happen quickly online…). It will mean stories about literature and theology from fun places and lots of pictures of old things, places, and castles. You’ll hear lots about my PhD research and its progression given that its focus falls directly within the mandate of the blog (funny that…). You’ll hear about things I’m reading, and things I hear and see. Basically it will be more of the same! If you’ve enjoyed that, then stick around! The party has barely begun. 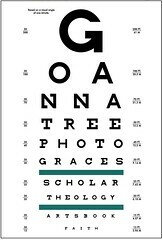 Previous post: 205th Post on Goannatree!